The only thing that can beat a beautiful day of checking out award-winning artwork while sipping a tasty craft brew or fine wine is supporting a great cause while doing so. The La Jolla Arts Festival at UCSD on June 21-22 gives you the opportunity to do both. The Festival, produced by the Torrey Pines Kiwanis, raises money for sports programs for persons with disabilities, including the accessible watersports program at MBAC. The high quality showcase event features nearly 200 award-winning artists, outstanding entertainment, delicious cuisines and your favorite fine wine and craft beer. 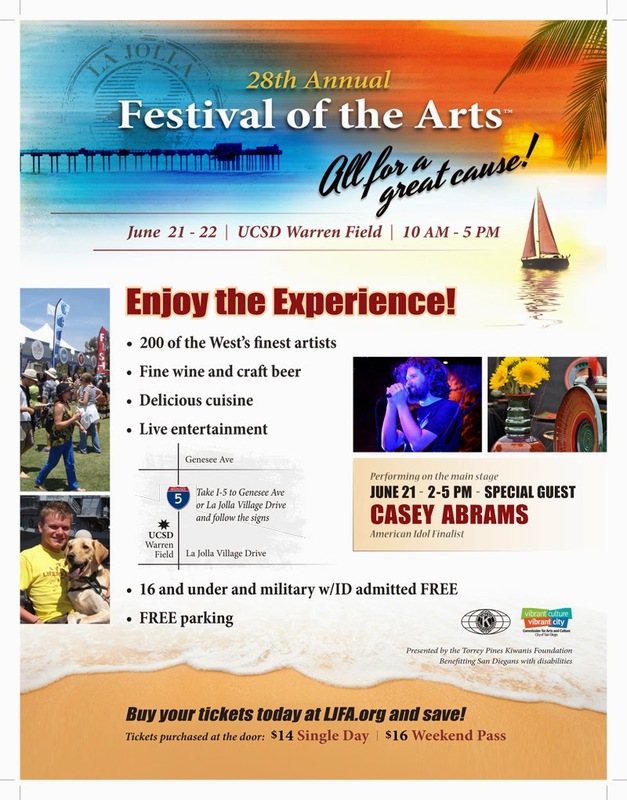 This is the 28th annual event and will be held on June 21-22 at UCSD Warren Field. On Saturday, June 21, American Idol finalist Casey Abrams will be performing on the Main Stage from 2:00pm-4:45pm. 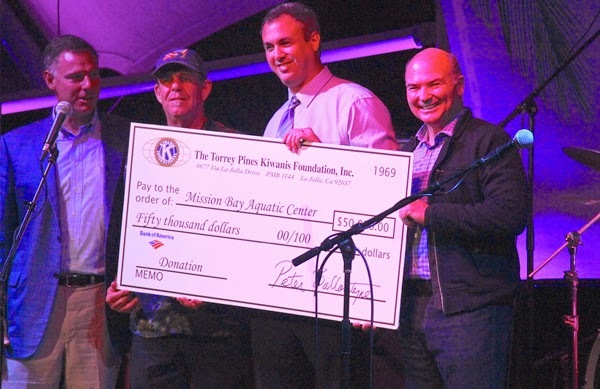 This year's festival has special meaning for MBAC as the Torrey Pines Kiwanis recently presented a check for $50,000 to MBAC towards the purchase of new equipment and boats for accessible watersports. The generous gift is an enormous boost and will have a huge effect on accessible watersports in San Diego. People will be benefiting from this generous gift for years to come. Use the coupon code: MBAC when purchasing discounted tickets online at http://lajollaartfestival.org/tickets-2014 and MBAC will receive 50% of online ticket sales from the Torrey Pines Kiwanis Foundation as a donation for our program. For more information on the festival and to purchase your tickets today please visit www.ljfa.org.